Achieve effortless elegance with easy-to-wear tailoring. 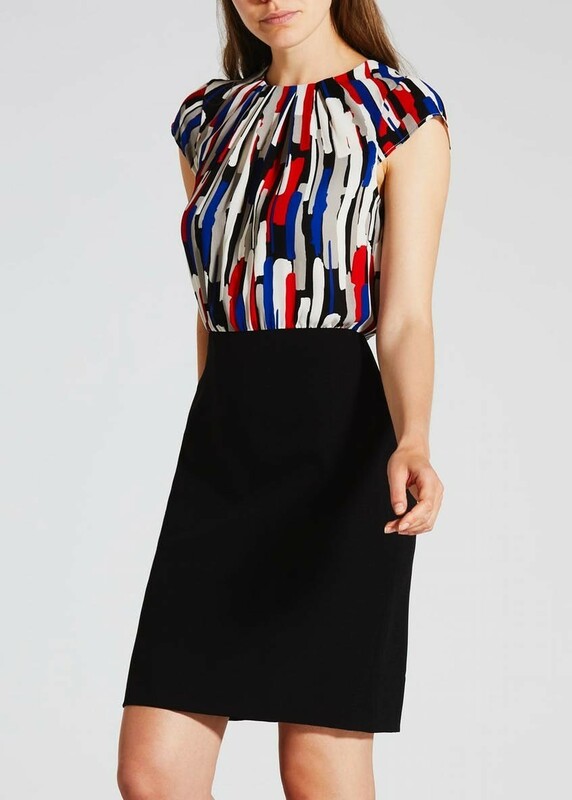 This two-in-one pencil dress is designed to look like a skirt and blouse combo. Crafted with a stretch for added comfort, the skirt sits just above the knee and is complemented with a flattering close fit. The colourful brush print blouse is complete with a zip fastening to the back. Team with strappy sandals or classic courts for a polished finish.